New Delhi:Polling began at 7 a.m. on Thursday in 91 Lok Sabha constituencies spread over 18 States and two Union Territories as the first phase of general elections kicked off on a peaceful note. Curtains had come down two days ago on the hectic campaigning which witnessed star campaigner criss-crossing the poll bound States. A number of political bigwigs and Union Ministers are in the fray during the first phase of voting. These include Minister of State for External Affairs General (Retd) V K Singh from Ghaziabad, Culture Minister Dr Mahesh Sharma from Gautam Buddh Nagar and Minister of State for HRD Satyapal Singh from Baghpat ? all forming the key constituencies in the Western Uttar Pradesh. Minister of State for Home Kiren Rijiju is pitted against former Arunachal Pradesh Chief Minister Nabam Tuki from Arunachal West Lok Sabha seat. From Nagpur, the BJP stalwart and Union Shipping and Transport Minister Nitin Gadkari will also have his electoral fate decided where polling is taking place. In the rough and tumble of Western Uttar Pradesh's "Jatland'', political stalwarts including Rashtriya Lok Dal chief Ajit Singh and his son Jayant Choudhary are in the fray from Muzaffarnagar and Baghpat constituencies respectively. Other key Lok Sabha seats which will remain the centre of attraction are Meerut, Kairana and Bijnor. In the hilly State of Uttarakhand, former Chief Minister Harish Rawat of the Congress is trying his luck from Nainital-Udham Singh Nagar constituency. Other crucial seats in the state are Haridwar where BJP's sitting MP Ramesh Pokhriyal 'Nishank' and Almora from where Union Minister of State Ajay Tamta is seeking re-election. Maoist violence marred the end of campaigning on Tuesday evening in Dantewada in Chhattisgarh as Naxals ambushed a convoy, killing Dantewada's BJP MLA Bheema Mandavi and four policemen. In Chhattisgarh, Maoist violence affected tribal constituency of Bastar is witnessing polling on Thursday. 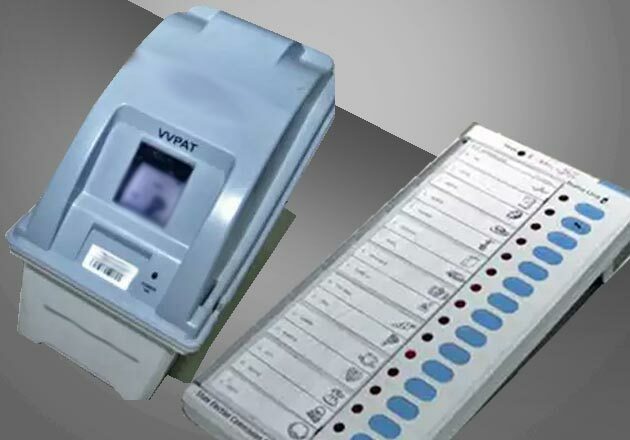 Voting is also taking place for all the parliamentary constituencies in Andhra Pradesh, Arunachal Pradesh, Meghalaya, Uttarakhand, Mizoram, Nagaland, Sikkim, Lakshadweep, Andaman and Nicobar Islands and Telangana. While polling will conclude at 6 p.m. in the first phase, in North-Eastern States the polling will end at 4 p.m. The other states going to polls in the first phase include - Assam, Bihar, Chhattisgarh, Jammu and Kashmir, Maharashtra, Manipur, Odisha, Tripura, Uttar Pradesh and West Bengal. In these states, votes are being polled for some of the constituencies in the first phase of general elections. Simultaneously, electors are exercising their franchise for the single phase Assembly elections in Andhra Pradesh, Sikkim, Arunachal Pradesh as well as in 28 of 147 seats in Odisha on Thursday. Election Commission of India has put in place elaborate security arrangements to ensure free, fair and peaceful polling. More than 60 polling parties, escorted by a heavy contingent of security forces, have been sent to polling booths located in sensitive and hypersensitive areas. While in Bihar, Rashtriya Janata Dal and Congress leaders who are part of ?Mahagathbandhan'' have undertaken election tours and addressed meetings, Chief Minister Nitish Kumar and Deputy Chief Minister Sushil Modi sought votes for their alliance of JD(U)-BJP. Special attention of electors and pollsters are riveted on Gaya, Navada and Aurangabad in Bihar. Former Chief Minister and Hindustani Awam Morcha head Jitan Ram Manjhi from Gaya and Chirag Paswan from Jamui are the key contestants. Among prominent faces in Andhra Pradesh who are in the fray for Lok Sabha polls are Kishore Chandra Deo, P Ashok Gajapati Raju, Galla Jayadev, Kotla Surya Prakash Reddy, R Sambasiva Rao and Panabaka Lakshmi.